We live in a world of measurements. Measurements, be they of length, speed, weight, temperature, intelligence, income, endurance, greed, gross domestic product, quality of life, unemployment or skill at a job, are all numerical manifestations of the extent of some underlying attribute. They reflect the reality around us – length and weight provide examples of systems that represent clear physical attributes. At the same time, measurements also define the reality around us – psychometric tests and price inflation constitute both the definitions and the procedures for measuring these concepts. Altogether, measurements are central to our modern world and our view of it. 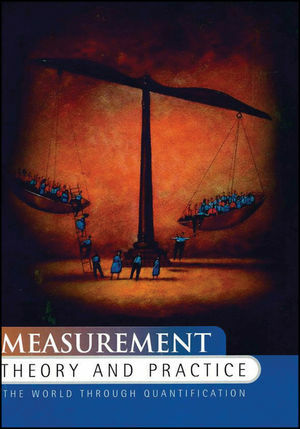 This book explores the nature of measurement, investigating its different kinds, how these kinds should be interpreted, and the legitimacy of their statistical manipulation. The procedures through which numbers are assigned to objects are described, and measurement in psychology, medicine, the physical sciences, and the social sciences are examined in detail. The ideas of measurement are so ubiquitous that we often fail to notice them; they are concealed behind a veil of familiarity. This book lifts the corner of that veil and, in doing so, shows that there are aspects of the familiar world that are occasionally puzzling, sometimes downright extraordinary, and often more intriguing than is generally believed. David John Hand OBE FBA is a British statistician. His research interests include multivariate statistics, classification methods, pattern recognition, the computational statistics and the foundations of statistics. 2. The nature of measurement. 3. The process of measurement. 7. Measurement in the physical sciences. 8. Measurement in economics and the social science. 9. Measurement in other areas.